20 May 2009 - Prime Minister John Key has appointed distinguished scientist Professor Peter Gluckman to be the first Prime Minister's Chief Science Advisor. Mr Key says Professor Gluckman is one of the country's leading scientists and he will make an important contribution in the newly created part-time role. "This appointment delivers on the Government's goal of including science at the heart of our decision-making. 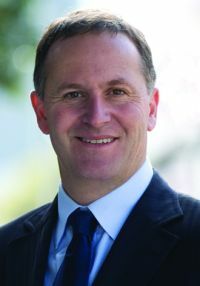 "I campaigned on creating this role because I recognise that New Zealand's prosperity rests on our ability to make full use of the expertise that our scientists can contribute. "Professor Gluckman will provide me with a direct line to advice when I need it. He will be an independent voice that will complement existing channels of advice such as government departments and the Royal Society." Professor Gluckman will not be involved in science funding processes. This will remain the responsibility of existing government agencies. "This role is one of vital importance that demands not only a high level of science expertise, but also the utmost integrity to fairly represent the state of science knowledge." Professor Gluckman will step down from his role as Director of the Liggins Institute but will remain employed by the University of Auckland.